We propose an experiment presented in the CAEN educational catalog. 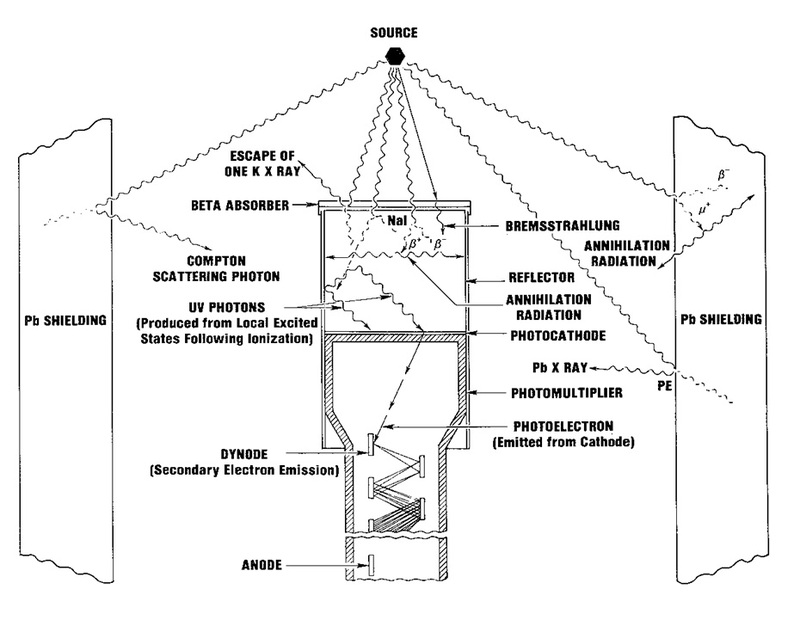 The purpose of the experiment is the determination of the ratio of the effective cross-sections due to Compton and Photoelectric effects as a function of photons energy. The predominant mode of interaction depends on the energy of the incident photons and the atomic number of the material with which they are interacting. From the acquired γ-spectrum, it is possible to estimate the fraction of events due to Compton scattering and those caused by the photoelectric effect. The ratio of the event fractions is used to determine the ratio of the two effective cross-sections that depends on the detector size. 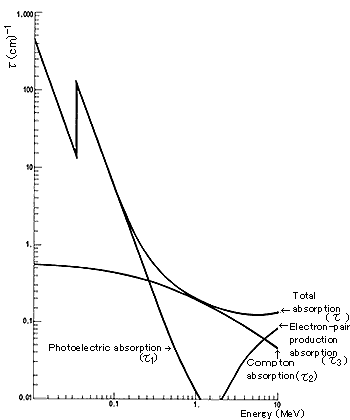 In the chart below there is the absorption coefficient (photoelectric and Compton) as a function of γ photon energy. 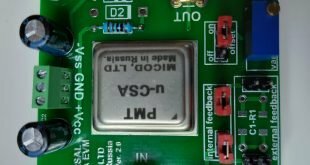 Above 2 – 3 MeV it starts to be important also the production pair phenomenon as a way to absorb a γ photon. The experiment can be performed simply by acquiring the γ-spectrum of some radioactive γ sources, we used Cs137 and Na22. As shown in the image aside, the idealized γ-spectrum is composed by two parts : the full energy peak and the Compton plateau. 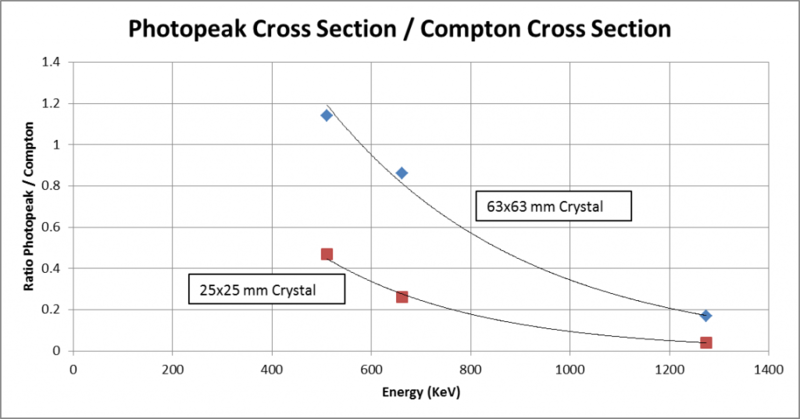 The peak corresponds to the photoelectric interaction and also to the Compton interaction if the scattered γ photon is absorbed again in the crystal (in this case all the energy is transferred to the crystal). 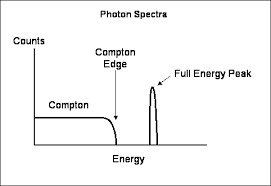 The Compton plateau corresponds instead to the Compton interactions where the scattered photon escapes the crystal so the energy which is given to the crystal is less than the original energy of the γ photon. The images below show the γ-spectra of Cs137 and Na22 acquired with a 63×63 mm NaI(Tl) scintillation crystal. The photopeak and the Compton continuum are measured for three energies : 511 KeV, 662 KeV and 1274 Kev. The images below show the γ-spectra of Cs137 and Na22 acquired with a 25×25 mm NaI(Tl) scintillation crystal. The photopeak and the Compton continuum are measured for three energies : 511 KeV, 662 KeV and 1274 Kev. By using several radioactive sources and two different-sized scintillation crystals, the energy dependence of the ratio between the cross-sections of two phenomena can be examined, by verifying that the Photoelectric Effect cross section decreases with increasing energy compared to the Compton Scattering cross section for the used detector size. Furthermore the ratio improves with bigger detectors, as expected, because with bigger detector the likelyhood for the scattered Compton radiation to escape the crystal is lower.